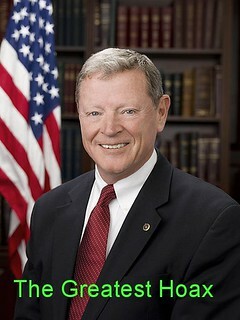 Last month, Oklahoma’s senior U.S. Sen. Jim Inhofe held up a snowball on the Senate floor as indisputable proof that not only was the northeast United States enduring a bitter cold winter but also that global warming was simply a myth. Indeed, the northeastern U.S. has experienced a snowy, cold winter, but new information has recently been released that on a global level, this recent winter-December through February-was the warmest winter ever recorded in history. In fact, the last 12 months, according to the National Oceanic and Atmospheric Administration (NOAA), were the warmest ever recorded in history as well. Inhofe, who believes global warming is actually a left-wing hoax among scientists to lower the profits of the oil and gas industry and that only God can control the climate, looks even more foolish now than he did in February. But Oklahomans are used to these types of Inhofe stunts and have continued nonetheless to send him to office. There is, however, a solid, progressive group of people in Oklahoma who adamantly oppose Inhofe’s sophomoric approach to global warming, which threatens the planet and has been accelerated by manmade carbon emissions. To repeat: One particular weather event or events in one particular area of the world doesn’t tell us much about climate change, which is measured over decades and even centuries. It’s the steady, long-term trajectory that matters and the larger issues, such as the melting of the arctic ice cap, rising sea levels and consistent weather-pattern changes. Inhofe, now 80, has based much of his political career on disputing scientific claims that point out the role of carbon emissions from the burning of fossil fuels to power our cars and planes. As a senior Senator and again chair of the Senate Environment and Public Works committee, he’s once again in a position to do much damage to the planet. Actually, bringing melting snowballs to the Senate is only political theater in which Inhofe revels and the local corporate media either celebrates or ignores. Trying to turn back or block rules that would limit carbon emissions is a far more dangerous endeavor. I will point out again what the mainstream media often fails to note. From 2009 to 2014, Inhofe accepted $454,500 in campaign contributions from the oil and gas industry, according to OpenSecrets.com, and more than $1.7 million from the same industry during his entire career. Mainstream journalists these days don’t often note when it comes to Inhofe how campaign money buys influence. Perhaps, people just accept now the role of big-donor money in influencing politicians, and maybe Inhofe pulls a theatrical stunt now and then for his sheer enjoyment or out of insecurity as he seeks attention. I don’t know. I do know Inhofe continues to make Oklahoma look backwards and, even worse, uncaring about the environmental welfare of the plant.